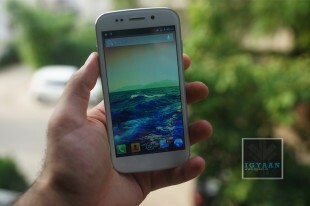 Micromax Canvas 4 A210 Review – The Best Canvas till date! Micromax has forever been associated with cheap and budget phones, earlier with feature phones now with budget Android phones. 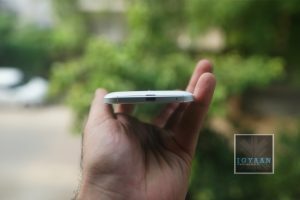 With the Micromax Canvas 4 A210 the company tries to find a balance between the desires of the market and a stable ecosystem. 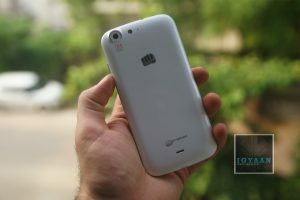 The Micromax Canvas 4 A210 has been perceived a big negative mark on the company’s ever tarnished reputation, So is the Micromax Canvas 4 A210 the marvel of innovation Micromax claims it to be? or is it just another attempt at making more money, lets find out. The Micromax Canvas 4 A210 is exceptionally well built, it uses the two elements found in the worlds most popular handsets, the steel bezel and frame of the iPhone and the plastic back panel of the Samsung Galaxy series. 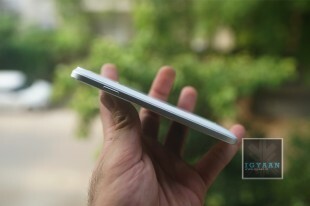 The end result is a beautiful looking device that fits well in the hand and feels great to use. The plastics on the Micromax Canvas 4 A210 are cleverly used and remain at a minimal, whereas no serious strengthening has been utilized to the glass. On the inside of this phone is a Mediatek 6589 chipset that offers up 1.2 GHz on Quad cores and a sufficient Power VR SGX GPU. On the inside is 16 GB of Storage and 1 GB of RAM, whereas the cameras are fitted with a 13 MP BSI Sony Sensor with full HD capabilities and a front facing 5 MP shooter also with 1080p capabilities. The display is a 1280 x 720p 5 inch display and the overall device offers quite a balanced mix of hardware and build quality. Although many companies are offering higher specs with similar handsets, the build quality on the Micromax Canvas 4 comes out on top. The Micromax Canvas 4 A210 uses a new type of display, unseen on any of the company’s earlier devices, the display has a serious blue hue imbalance, but is exceptionally visible outdoors compared to the previous Gen display. The 1280 x 720p resolution was a major let down for many a buyers because of many rumors that pitted the phone equipped with a 1080p display. All “unethical journalism” aside the display is great for almost all requirements including gaming and multimedia, however it never hurts to get more resolution even if you don’t need it. The touchscreen is very responsive and the display is perfectly fused into the body of the device, a lower resolution display also ensures better battery life considering that this device only has a 2000 mAh battery which you can read more about in the battery section below. The Micromax Canvas 4 A210 is based on Android 4.2 and is mostly a vanilla interface, some basic customizations have been added to give additional UI features. “Blow to Unlock” for one is and example of a feature that has been added which may actually be liked by some, we personally feel that it is a waste of battery and a serious red flag to safe mobile phone usage. 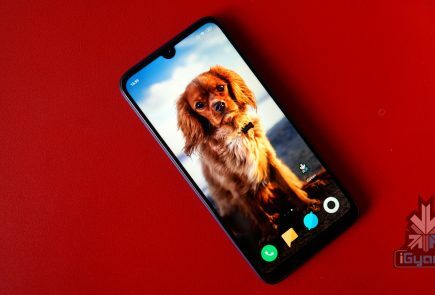 Micromax has also added some features like smart pause on Samsung devices, a software feature which uses the sensors and front camera to detect when a user looks away, while watching a video , and pauses the video. Some fun UI elements like bouncing notifications and alerts in the lock screen add to the user experience. 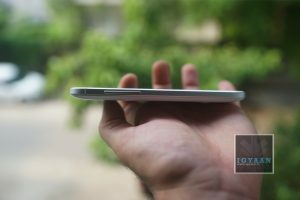 We feel that Micromax now needs to work on a proprietary UI for Android on their devices, much like TouchWiz or Sense, they need to develop a UI which will truly make their devices unique. For now the Micromax Canvas 4 is based on vanilla android and mostly third party modifications which may or may not be activated. If you aim to do some gaming on the Canvas 4, you will be happy to know that most games work out of the box and work well. On the occasion some heavy spec’d games will hang or crash, which can only be expected. Watching videos and movies is great especially thanks to the great display and loud speaker, but you do start to miss a full HD experience if you have had one. One thing which really changes the perception of the Micromax Canvas 4 A210 is the camera with its f2.2 lens equipped Sony BSI 13 MP sensor. The camera is the same unit used in the Xperia Z and performs exceptionally well. The camera also works great in low light conditions and captures great videos. The front facing camera is a bit of overkill, unless you do a lot of self portraits. 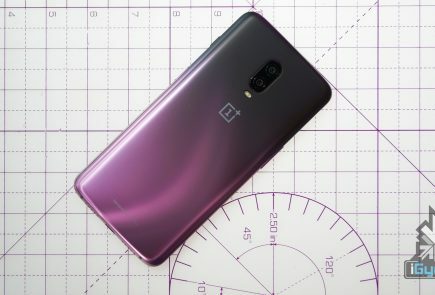 The front camera is great but only if you have ample lighting, and honestly we don’t deny that sometime soon in the future front cameras may also start to get a dedicated flash diode. The camera module is far too advanced for the software that has been included in the Canvas 4, and if you manage to root your device using our method, you can easily install the camera app ported from other devices. Any camera app that will give you additional manual controls is the app you are looking for. A word to the wise, if you plan on doing macro photography with this camera, Autofocus will not be your friend. An add on lens might also be helpful. The camera has great image composition ensuring great color reproduction and great crisp focus. If you intend to use auto mode the included app works fairly well and will not disappoint. Wait for our detailed camera review. if you are looking for extreme performance on this smartphone you are actually looking in the wrong place, you are better off buying a Nexus or HTC One if that is your objective. 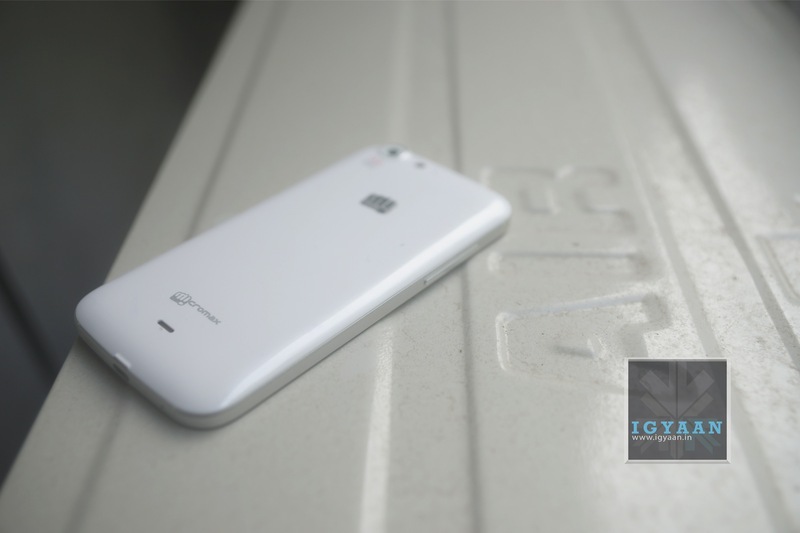 The Micromax Canvas 4 A210 aims to achieve a few things and extreme performance is not one of them. The phone is pretty good for what its worth, gaming is decent, day to day usage is excellent, multitasking works great and for once the OS is quite stable. 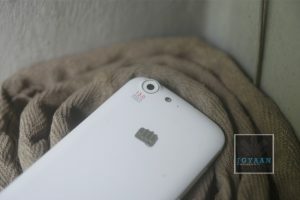 The Micromax Canvas 4 A210 will get you through most of the tasks you can put it through and then some, but it will not satisfy the tweak hungry junkies. The chipset has its limitations and they can’t be witnessed in the day to day usage of an average user. We take off from the regular review process to point out a couple of things to our readers, The Micromax Canvas 4 is very identical to the Blu Life One, in fact it may as well be the same phone. Both companies Micromax and Blu have many things in common, they are both young companies and they both have the same vendors. But, Blu handsets will never come to India, because the company is presently focused in the Americas, just like Micromax’s main focus is in India. Even though we got many requests to compare the two handsets we feel it is unnecessary at the least. Micromax has taken a bold step and tried to take care of the biggest concern of users with the improved build of their handset, in doing so the cost of their handset has gone up considerably . That tied with the inflated cost of the US $ made it a pricing fail for the company, and we feel Micromax is a bit premature to be entering the sub 20k market with handsets based on Mediatek chipsets in fact the same chipset that goes in sub 10k handsets. 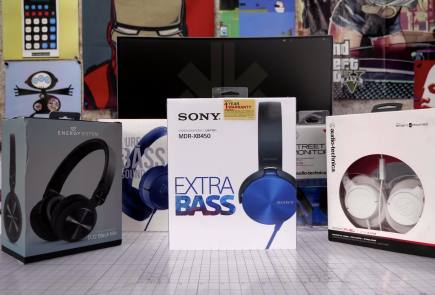 But, what most people are neglecting is the use of quality materials and components is bound to raise costs, the Sony 13 MP sensor itself justifies such a bump in pricing. Micromax is no Samsung when it comes to customer satisfaction, hell even Samsung are not that great. 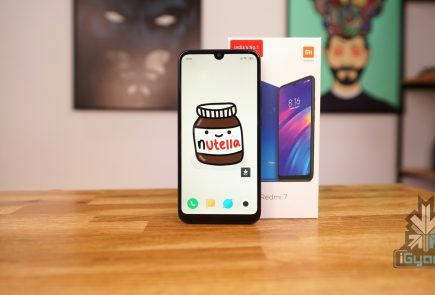 The company aims to become a big mobile brand, but it is presently far from that goal simply because of their dependence on readily available products and components. Micromax has for once tried to focus on the user experience more than the specs, the Micromax Canvas 4 A210 is extremely well built when compared to competition and even their own previous phones. The warranty for the Canvas 4 ensures that if your phone is damaged or defective (within warranty guidelines) you instantly get a replacement phone. Software elements like smart stay and smart pause that usually require expensive devices to begin with. The cameras are also an advantage on the Canvas 4 and those with a taste for mobile photography will truly come to appreciate the device for that. The phone achieves what most phones by sector 2 manufacturers dont, premium feel. 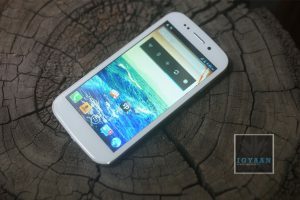 The price for one is a little off the mark, a 15k price point would appear to be a more worthy option for the Canvas 4. The OS is still mostly stock and with the added bloatware and software gimmicks, we are not impressed. There is no doubt that the Micromax Canvas 4 A210 is the best Canvas / Micromax phone till date, but with the impending release of iBerry Nuclea N1 and a series of devices already in the market. The decision is truly in the hands of the buyer, the company is attempting to change its ranks in the smartphone market and the Micromax Canvas 4 A210 may be that very device. Once Micromax realizes the market status and drops the price by 1500- 2000 this very well may be the best smartphone in the market in the Rs. 15000 price bracket, but until then this seems like an investment which may not yield a return worth of value. With Root already achieved by iGyaan those looking to get more bang for their buck will also be satiated.